THE POET Annemarie Ní Churreáin, along with Maurice Devitt and Amy Barrett, will read from her work at the Over The Edge: Open Reading in the Galway City Library on Thursday November 22 at 6.30pm. Ní Churreáin's debut collection Bloodroot (Doire Press, 2017 ) was shortlisted for the Shine Strong Award for best first collection in Ireland and for the 2018 Julie Suk Award in the USA. She is the author of a suite of poems about Dublin titled Town (The Salvage Press, 2018 ). In 2016 she won a Next Generation Artist Award and was the inaugural 2018-19 John Broderick Residency Award from the Westmeath Arts Office. Her poetry is taught as part of the Writing Program at Florida Gulf Coast University. Maurice Devitt won the Trocaire/Poetry Ireland Competition and has been shortlisted for the Patrick Kavanagh Award, The Listowel Collection Competition, and Over The Edge New Writer of The Year. His debut collection, Growing Up In Colour, was published earlier this year by Doire Press. Amy Barrett is a creative writing student at NUI Galway. 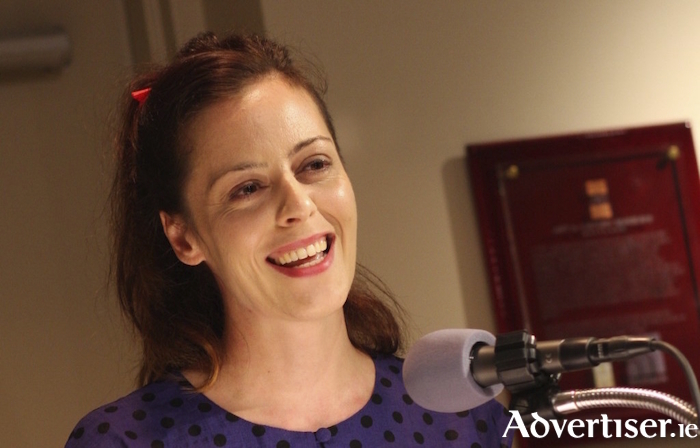 She is the winner of the Windows National Poetry prize in 2015 and auditor of NUI Galway Writers society. The MC will be Susan Millar DuMars. There will be an open-mic after the featured readers have finished. Admission is free.